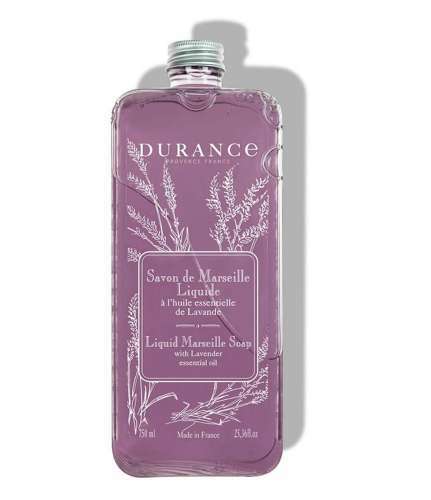 LAVENDER LIQUID SOAP - Durance's Marseille soap is made in a cauldron, as is traditon. Its formula, based on plant oils, gently cleanses. Infused with essential oils from the local Grignan lavender that blossom fully in the June sun. Format: Large handwash size, perfect for kitchen and utility sinks.